ABBOTT PARK, Ill., March 1, 2017 — Abbott today announced U.S. Food and Drug Administration (FDA) approval of the FlexAbility™ Ablation Catheter, Sensor Enabled™ designed to improve the versatility and precision during cardiac ablation procedures to treat atrial flutter, a type of irregular heartbeat. With the approval, the company has further expanded its electrophysiology portfolio for treating patients struggling with abnormal heart rhythms (cardiac arrhythmias). The FlexAbility™ Ablation Catheter, Sensor Enabled™ is the first ablation catheter from Abbott that helps collect both electrical current resistance (impedance) and magnetic data to facilitate detailed, accurate mapping as well as assist in the treatment of sites that trigger or sustain abnormal heart rhythms. It also represents the second Sensor Enabled™ tool released by Abbott in the United States for the use with the company's EnSite Precision™ cardiac mapping system, which also includes the Advisor™ FL Circular Mapping Catheter, Sensor Enabled™. When used with the EnSite Precision™ cardiac mapping system, Sensor Enabled™ catheters allow physicians to create highly detailed 3-D cardiac models with the heart’s electrical activity overlaid on it. These models help the physicians identify the type of arrhythmia and the areas they should treat with the ablation catheter. The catheter is also compatible with Abbott’s MediGuide™ Technology, which allows the physician to reduce the duration of live X-ray during a procedure. "I am seeing an increasing number of patients with complex cardiac arrhythmias, which has created a strong need for advanced tools that can meet the needs of those patients" said Jeffrey Winterfield, M.D., director, Ventricular Arrhythmia Service and associate professor of cardiac electrophysiology at the Medical University of South Carolina. "Sensor Enabled™ catheters, along with EnSite Precision™ cardiac mapping system, allow me to quickly identify and treat the arrhythmia, giving me the flexibility and accuracy I need to reach the most challenging locations in the heart to support effective outcomes and improve the lives of my patients." The FlexAbility™ Ablation Catheter, Sensor Enabled™ is based on the original FlexAbility™ ablation catheter platform, which featured the first irrigated flexible tip providing directed flow and tip temperature monitoring aimed at reducing procedural risk. 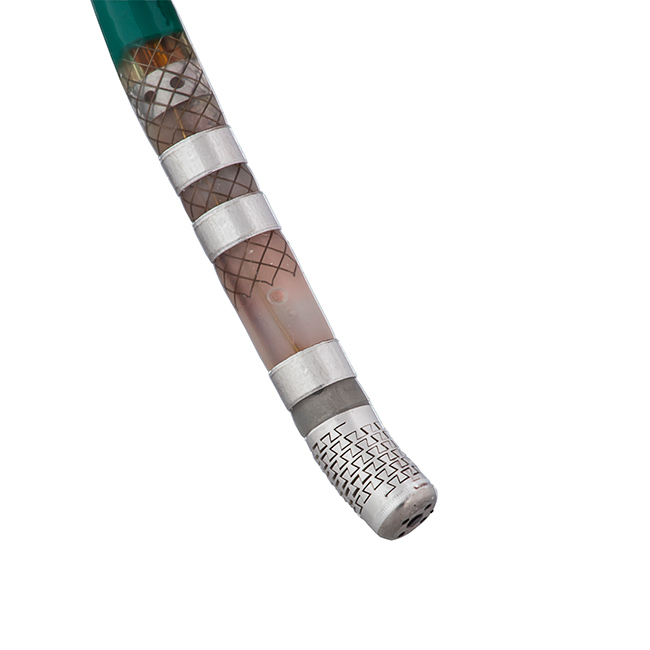 The new enhanced FlexAbility™ Ablation Catheter, Sensor Enabled™ adds the ability to collect magnetic data, providing procedural versatility and precision when integrated with Abbott mapping and navigation systems. "We are continuing to innovate around the EnSite Precision™ cardiac mapping system to create an ablation portfolio that best supports physicians looking to tackle even the toughest cases," said Srijoy Mahapatra, M.D., medical director of Abbott's electrophysiology business. "The introduction of the sensor enabled ablation catheter is delivering on that need. It offers the ability to engage the magnetic platform for enhanced precision, especially when physicians encounter a complex case." Ablation catheters are used to help treat irregular heartbeats, known as arrhythmias. Arrhythmias may cause symptoms including palpitation and lightheadedness; some can cause stroke or even cardiac arrest. During an ablation procedure, catheters deliver energy to the tissue of the heart, creating small scars or lesions to areas that are responsible for the arrhythmias. These lesions are aimed at preventing abnormal electrical signals from entering the heart and, thus get the heart back on rhythm. The flexible, porous tip of the Abbott FlexAbility™ Ablation Catheter, Sensor Enabled™, may reduce procedural risk with directed flow and tip temperature monitoring. 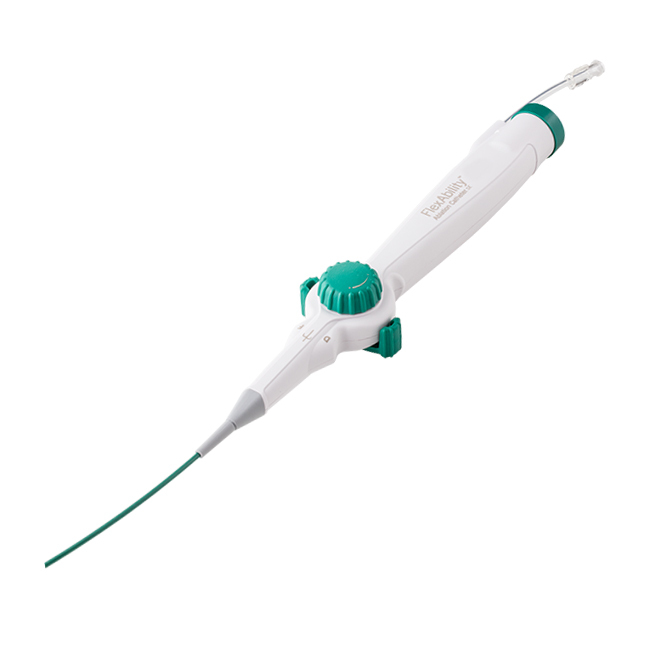 The Abbott FlexAbility™ ablation catheter, Sensor Enabled™—with a flexible tip and advanced shaft and handle combination—is designed for optimal handling, increased maneuverability and reduced procedural risk. Its Sensor Enabled™ feature collects magnetic data points when used with the company's EnSite Precision™ cardiac mapping system and MediGuide™ Technology.